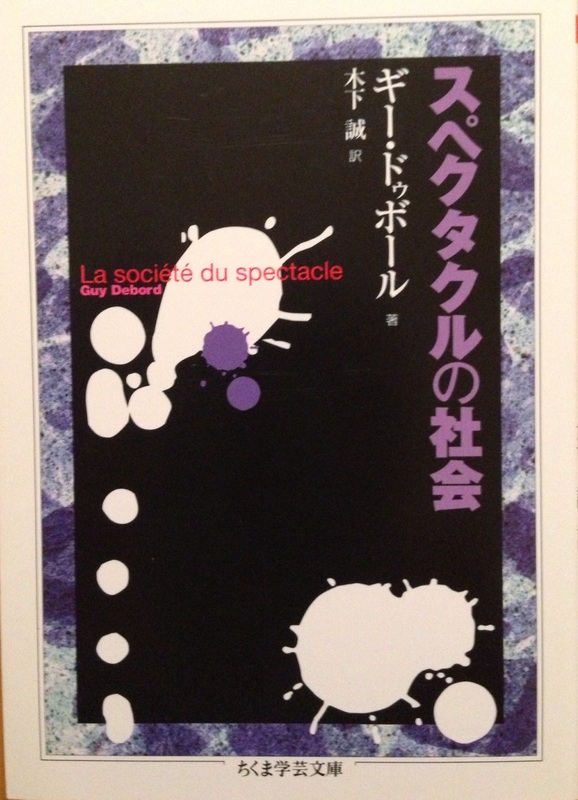 Later Japanese edition of Guy Debord’s masterpiece, translated by Kinoshito Makoto. 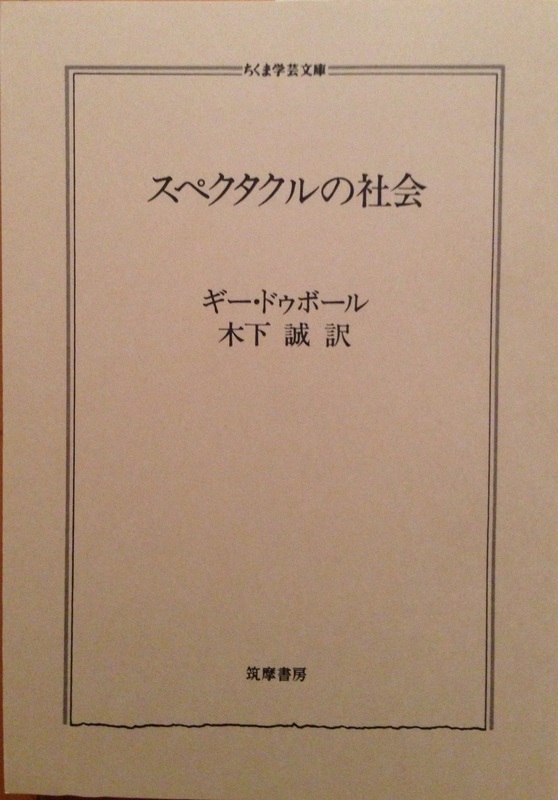 An earlier edition was published in 1993. NLC / More to come. Meeting w/ Verlaan. San Francisco (CA): More to Come, 9 April 1975. 8p. ; ill.; 21 x 13.5cm. 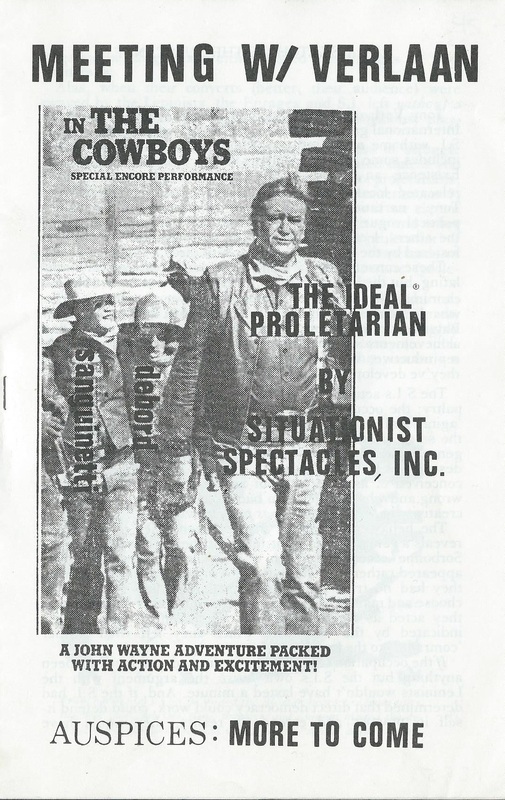 ; ill. white wrappers with text in black, B&W picture of “The Cowboys” feat. John Wayne. 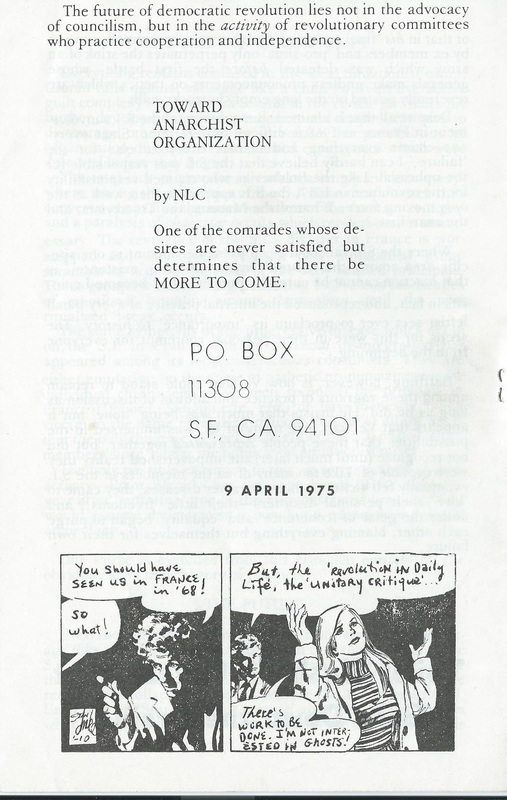 In this brief pamphlet, the anonymous author – likely a member of More to Come, a Bay-Area anarchist / prositu collective active in the early and mid-1970s – recounts a conversation with Tony Verlaan, a former member of the American Section of the Situationist International. 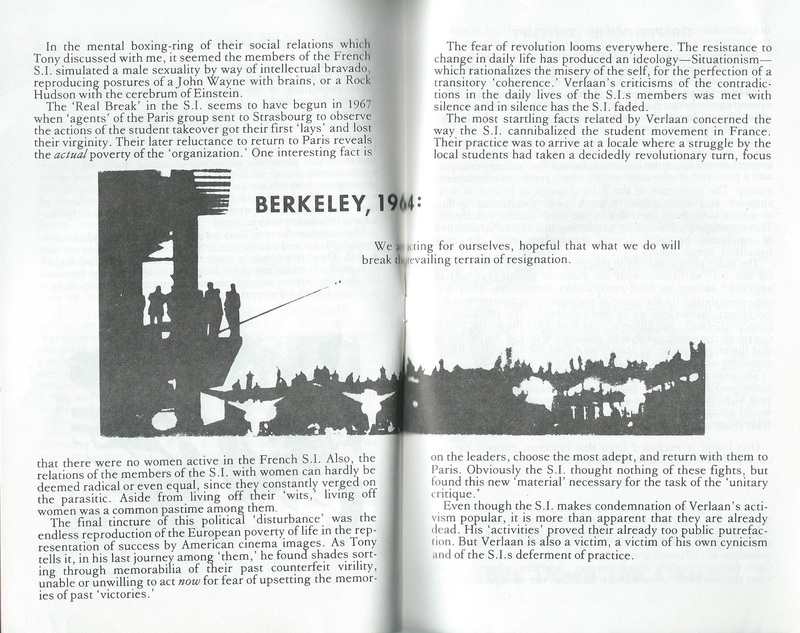 The text is highly critical, with the author noting that “In the San Francisco Bay Area in the years 1964 to 1972, their (the S.I.’s) practical achievements are nil”. He goes on to criticize Isaac Cronin and others for their obsession with theoretical considerations and similar lack of practice. This pamphlet is absent for institutional holdings, with the exception of the Labadie Collection at the University of Michigan. To my knowledge, It has not been reproduced on the internet, which is why the full text is featured below. [ROBERT CHASSE] Situationist International. 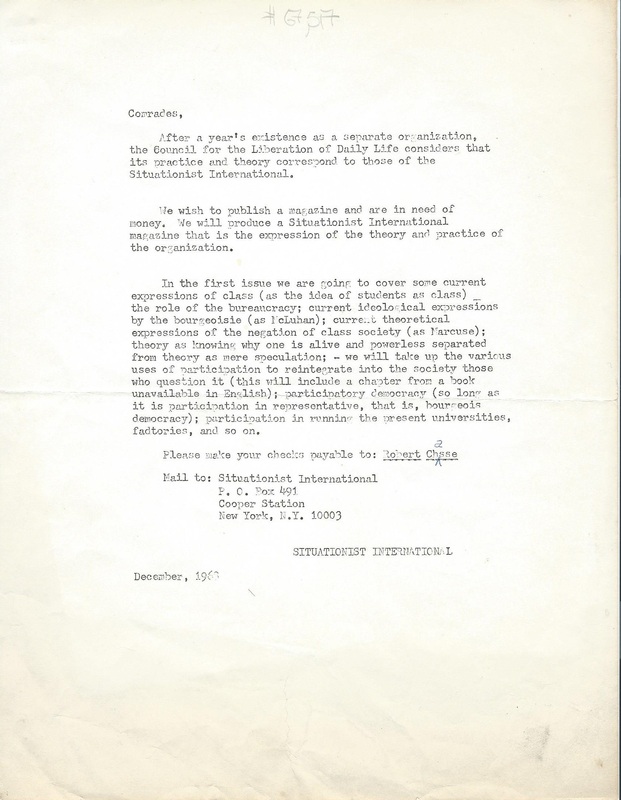 Letter dated December, 1968. 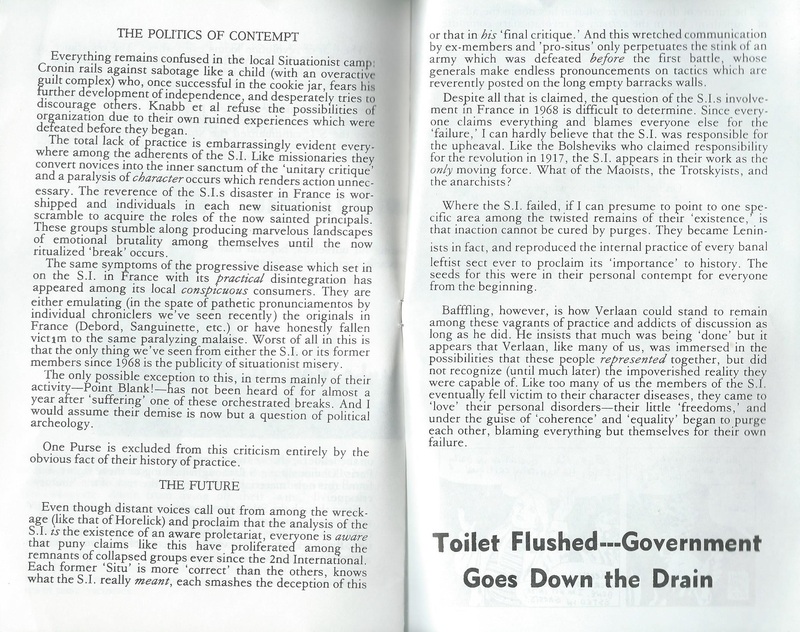 New York: Situationist International, Dec. 1968. 21 x 29.5 cm. Single-page mimeographed letter; black text on white paper with a correction in blue pen. Announces the dissolution of the Council for the Liberation of Daily Life as it merges with the Situationist International. Also announces the publication of a “Situationist International magazine” and solicits money for that project. 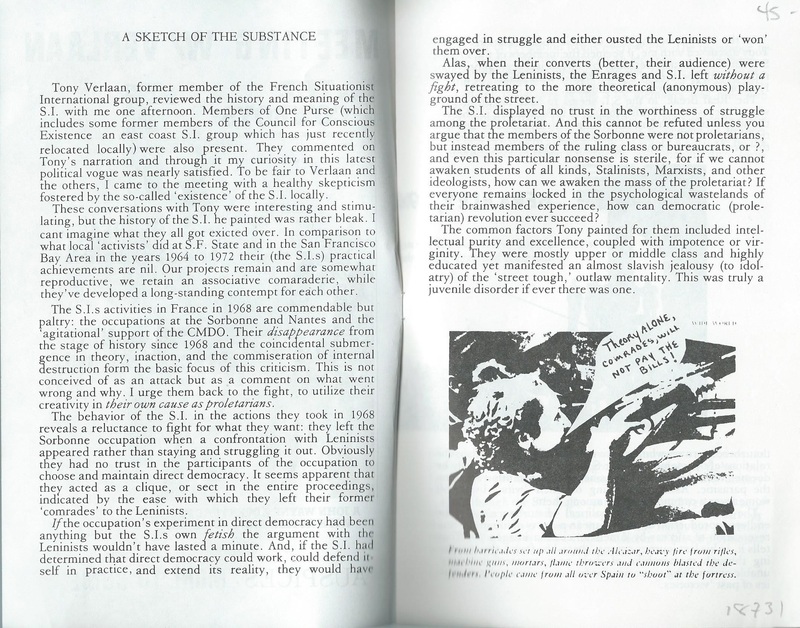 The proposed magazine is described in some detail, and the address of the new Situationist International (at its Cooper Station P.O. Box, New York) is provided. The current letter is rare, unavailable on OCLC and – despite its importance – in digital format. It is mentioned tangentially at http://www.cddc.vt.edu/sionline/si/dailylife.html.